The seamless steel industry has witnessed remarkable development in the past one hundred years or so. Marked by high-strength, corrosion-resistance, and ductility, seamless steel pipes are produced by hundreds of manufacturers in the world in large numbers every year. Mainly comprised of steel alloy and a certain percentage of chromium, seamless steel pipes are durable and versatile. Therefore, they are frequently used in a large array of applications from the construction industry to mass gas or oil transportation projects. However, seamless steel pipes are primarily supplied for the transportation sector and petro sector. For instance, API steel pipes are rather sought after in those projects that require high strength, resistance to erosion. Such inherent yet outstanding properties as durability and corrosion-resistance make seamless steel pipes ideal for a number of industries: oil and gas companies, chemical manufacturers, pipelines, and steam boilers, just to name a few. Hot round billets of carbon steel or steel alloy are used as raw material in making seamless steel pipes. The billets are cut into suitable length according to different requirements of buyers, and are heated at a temperature as high as 1300℃. By rolling a solid billet over a reel, hollow shells are created and curled at one end. Then seamless steel pipes are semi-finished after the air cooling process. Next the surfaces of the pipes are pickled, coasted and lubricated to accelerate the following drawing process. 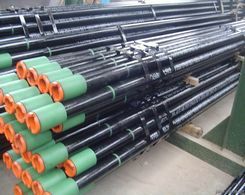 Depending on the requirements of the products, the pipes may be subjected to single, double or even triple drawing at a temperature of 750℃. The semi-produced pipes are then straightened and cut to the required sizes before being tested for quality. The demand for seamless steel pipes is growing by leaps and bounds in the recent three decades along with the flourish of oil transportation across regions and urbanization projects. Today the majority of seamless pipe manufacturers are concentrating on the production of pipes of large diameter and only a few companies are devoted to manufacturing API steel pipes which are smaller in diameter. 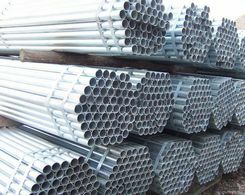 It is expected that in near future, large investments in petrochemical plants, fertilizer industry, power plants will be made both in developed countries like German and Japan but also in emerging economies like China and India, which will obviously add to the market demand for seamless steel pipes. Moreover, some types of seamless steel pipes are used in special aircraft applications thanks to their heat and erosion-resistance. Such pipes come in larger sizes ranging from 100 to 130 mm in outside diameter and are produced strictly according to the standards by Aerospace Material Specifications (AMS). However, the seamless steep pipes used in the fuel-injection lines and hydraulic systems of aircrafts tend to be small, less than 50 mm in outside diameter in most cases. The applications of the seamless steel pipes are huge because of the advantages they have.